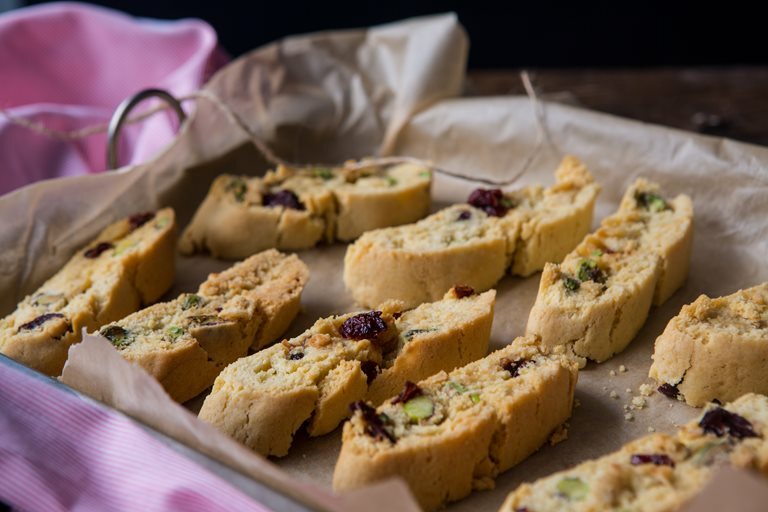 Rachel shares a delicious recipe for Italian cantucci biscuits flavoured with orange zest, cardamom, pistachio and cranberry. These cantucci biscuits will keep for about a month if they don’t disappear before then, and contain some of my favourite flavours. If you’d prefer different nuts, spices, dried fruits, chocolate pieces or a little vanilla or almond essence, you can be creative and play around. 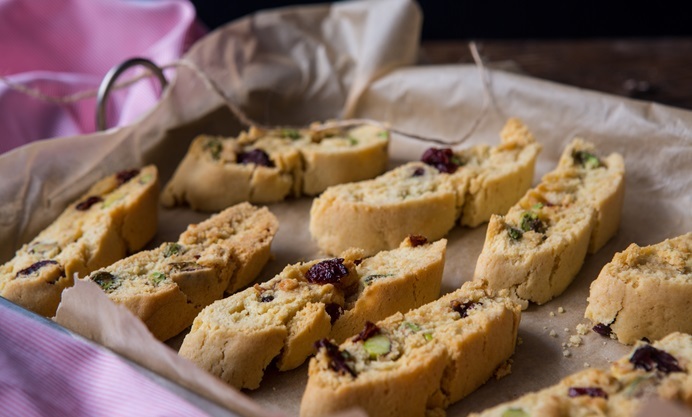 Just keep the biscuit recipe as it is, and substitute the orange zest, cardamom, pistachio and cranberry for flavours of your choice.